Featured Image: Adam Kokesh, 2010. CREDIT: Adam Kokesh. SOURCE: Wikipedia (Public-Domain). 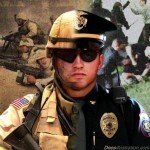 Does blowing a whistle in a cop’s face help end the police state? Adam asks some hard questions and some not so hard questions at the LAPD protest of the “Africa” shooting. Please support FREEDOM! by liking this video, subscribing, and sharing! Will Your Car Call the Cops on You? Featured Image: Police car/w cops. SOURCE: freeclipartnow.com (Public Domain). We have seen technology do some amazing things. Advances have allowed us opportunities that were only figments of our imaginations ten short years ago, but when technology is married to Big Brother we have potential for big problems. War on Drugs: Cops Say…the new LEAP video! See why Michelle Alexander calls Law Enforcement Against Prohibition “one of the most strongest voices against the War on Drugs anywhere in the world!” LEAP’s 10 year video demolishes the war on drugs and gives an intimate view into a remarkable organization of former drug warriors. We don’t usually follow murder cases here on THEI. But I have a hunch about this one that has nothing to do with the official cover-story of Aryan Brotherhood revenge.